Feeding the East of England since the 1940s has seen Roff Caterers serve Royalty and cater at events for up to 1,200 people. 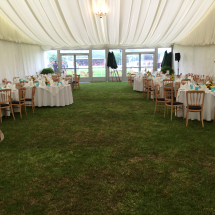 Our reputation for a high-quality service and wonderful food has meant we have catered at the Suffolk Show for 40 years. 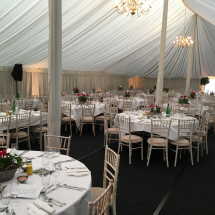 This has included the pre-event Suffolk Show Director’s Dinner, a sit-down meal for 400 people, the Vice-President’s marquee for 300 people each day and the President’s Marquee for up to 100 people. 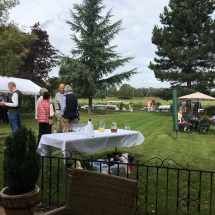 We have also catered for the Masonic Lodge in Bury St Edmunds for the last 30 years, as well as those in both Ipswich and Sudbury, and also for many civic events across East Anglia. 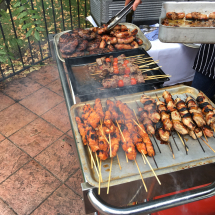 At the other end of the scale, we have catered for a football club fun day BBQ for 100 people. Whatever your requirements, we can match - and exceed – them. 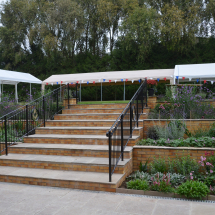 We can cater for charity events, balls and dinner dances, funerals, anniversaries, garden parties, summer events, sports club presentation and sixth-form proms – to name a few! Whatever the event, our experience, coupled with exceptional catering and staff, means we add professionalism and fun to your event. Catering for 160 people in the beautiful Athenaeum, we were later complimented by the Queen and the Duke of Edinburgh on the “excellent lunch”. 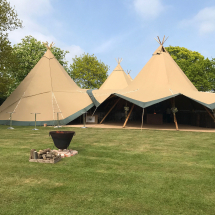 “William and his team were utterly superb at our recent wedding. The meetings beforehand to discuss the food were easy to understand and William gave his knowledge and expertise while respecting our choices. 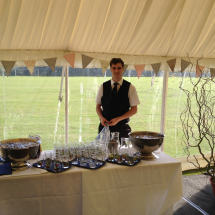 The team on the day were perfect, serving drinks and food with a smile, and nothing was too much effort. The food was delicious, my favourite pork belly the highlight, and the sharing starter platter was great too. Last but not least, the serving team for food and the bar in the evening was great fun, relaxed, friendly and professional. “Please may I take this opportunity to thank you, and your amazing team, most sincerely for all you did to make our party such a huge success. The food, oh my God the food, was delicious. I don’t know how your chef did that – the most amazing beef! We have had lots of thank you notes that have referenced how good the meal was – so thank you and our biggest compliments. 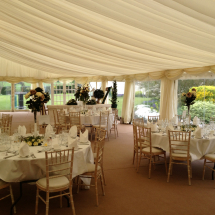 “I wanted to say a huge thank you for the Roff Caterer’s team’s hard work. The feedback has been brilliant and you have to take credit for a large part of that. “Words fail me. I cannot thank you enough for the wonderful service you provided to me and to everyone else at the (Suffolk) Show. The President’s Lunches have been remarked upon by everyone. They were absolutely delicious and cooked to perfection. People are still talking about your amazing menus and the professionalism of your staff and all involved in your wonderful company.